Again this week, I'm double-posting a major review to permit your comments, which my main site can't accept--although they'll be added to our redesign, soon to be unveiled. "This is the best use of 3-D I've ever seen," I say to Ang Lee. And I mean it. 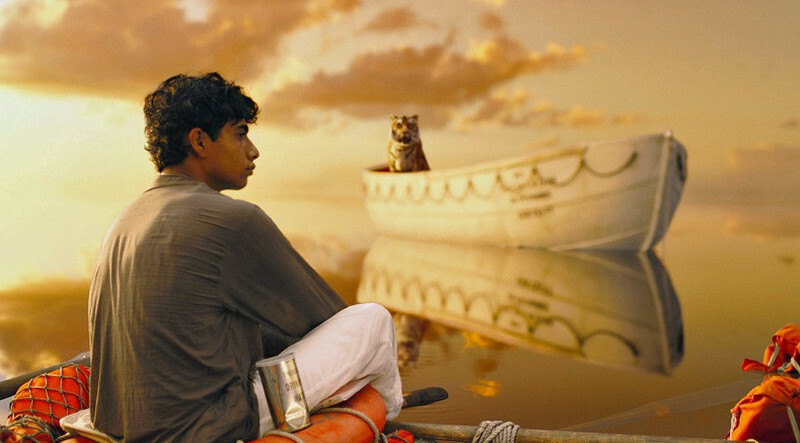 His "Life of Pi," based on Yann Martel's novel about a shipwrecked boy, is an astonishment, not least because it never uses 3-D for its effect, but instead as a framing device for the story as a whole. There are, for example, shots where the point of view is below the sea's surface, looking up at the boat and into the sky beyond. The surface of the sea seems to be an invisible membrane between the water and the air. I've never seen anything like it.